25TH ANNIVERSARY FACT: Achen-Gardner Construction, LLC started as an Engineering Division of Achen-Gardner, Inc. in 1989. In 1999, it became its own independent company as Achen-Gardner Engineering, LLC. In 2009, it became Achen-Gardner Construction. Achen-Gardner Construction, LLC is honored to be celebrating our 25th year providing construction services to the Valley and State of Arizona. From our humble beginnings with Doug Gardner (Founder), and Sanders Achen (Founder) to today with John Walstrom (VP), Dan Spitza (VP), Kevin Nunez (VP), and me, we have built hundreds of projects and developed countless relationships in both the public and private sectors and serve as an integral part of the growth of Arizona. In February of 1989, Achen-Gardner shared an office with Farmers Insurance on Alma School Road in Chandler and another office in Casa Grande. Every morning I would call Doug Gardner on a cell phone that was as big as a boot and he would tell me what office we were going to work at for the day. At the end of each day, Roger Rawling (Achen-Gardner’s first Estimator) and I would load our computers into our vehicles to take them home, not knowing where we would have to go the next day. This went on for about six months until we moved into our own office on Alma School Road. I believe we did about $770k in our first year. It was a modest beginning but the trademark of building long-lasting relationships was created in our first year of doing business. Our long-term goal was to self perform as much work as we could. This goal was accelerated by the state law that required horizontal contractors to self perform at least 50% of their work. Since then, we have become a contractor known for self performance, controlling our destiny, and completing projects on time and under budget. We have also become a leader in Construction Manager at Risk, Design-Build, and Job Order Contracting projects. For the past 25 years, Achen-Gardner has played a significant role in shaping our industry and the growth of infrastructure in the Valley and State. Whether it’s elaborate streetscapes, innovative ultraviolet light cured-in-place pipe rehabilitation, or very intricate and highly technical Design-Build projects, our success and long tenure would not have been possible without the hard working employees who have been part of the Achen-Gardner family over the last 25 years. Employees, past and present, have dedicated their efforts to building quality projects and long-lasting relationships. Achen-Gardner has been fortunate to have employees who have been with us for our entire history - a mark of a truly successful company. We are a company that also gives time and resources to benefit community organizations and students, including ICAN, St. Vincent DePaul, Sunshine Acres Children's Home, Habitat for Humanity, Chandler Rotary, American Red Cross, and the Mike Kolling Memorial Scholarship Fund. I would like to say thank you to all of our employees, clients, and partners for all you have done in making our first 25 years so very successful. We look forward to many more years of working together as we continue to shape our community. 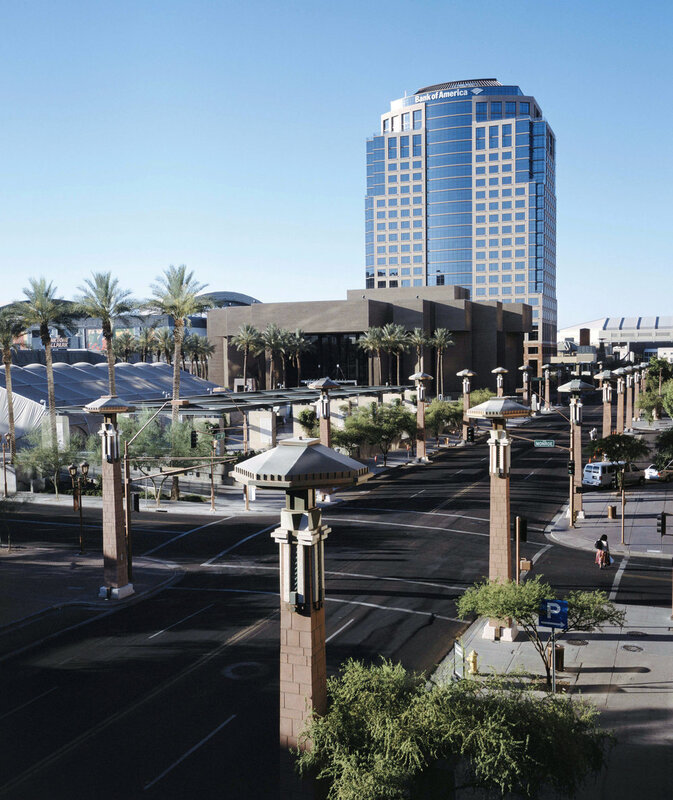 February 1995 marked the completion of Achen-Gardner’s Downtown Phoenix Streetscape Project. This Design-Bid-Build project for the City of Phoenix was constructed in preparation for the 1995 NBA All-Star Game on February 12th at America West Arena (now US Airways Center). The following article about Achen-Gardner Construction's 25th Anniversary was featured in the March 7 issue of Arizona Builder's Exchange. Centennial Way Federal Aid Transportation Enhancement (City of Phoenix). Submitted by Scott Kirchhofer for Achen-Gardner Construction, LLC. Anyone can be in business for years but it’s the backbone of the business and the impact on the industry it serves that makes it a lasting and valued partner to customers, employees and peers. 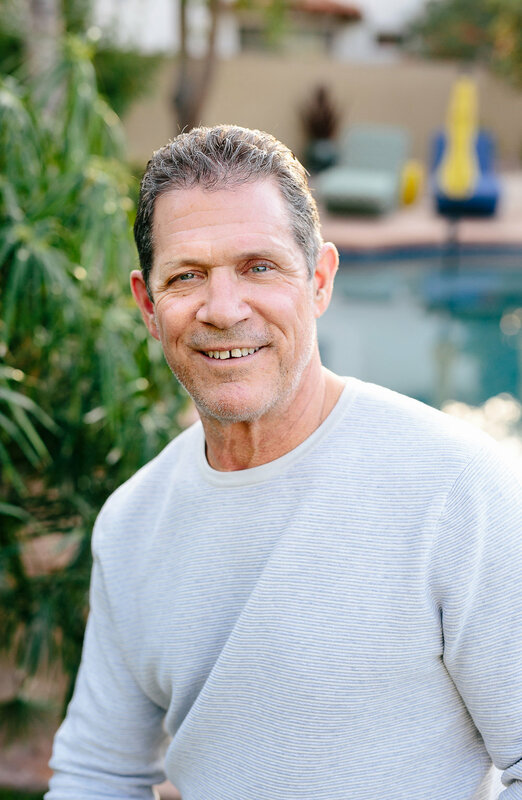 In celebrating 25 years as an industry leader in Arizona, Achen-Gardner continues to live out the core values (the backbone) established by founders Doug Gardner and Sanders Achen – “Our customers deserve the best and our employees make it possible”. In 1989, Dennis Troggio (President) accepted the opportunity to start and lead the General Engineering Construction Division of Achen-Gardner, Inc. and expanded the business into the heavy highway arena. Twenty-five years later, what once was a division to a parent company is now a successful standalone operation – Achen-Gardner Construction, LLC. As a heavy highway general contractor, Achen-Gardner Construction specializes in underground wet utilities, pipeline rehabilitation, roadway improvements, heavy civil infrastructure, site development, and streetscapes. Achen-Gardner Construction is also the exclusive installer of Reline America Inc.’s Blue-Tek Ultraviolet Light Cured-In-Place Pipe liner system in Arizona, Colorado, New Mexico and Utah. The company has two offices located in Chandler and Tucson with 110 employees combined. Achen-Gardner Construction is an industry leader in completing projects that require a qualifications-based selection. These projects utilize the Construction Manager at Risk (CMAR), Design-Build, and Job Order Contracting delivery methods. Our first qualifications-based project was the 79th Avenue Park and Ride Upgrade CMAR for the City of Phoenix. This project was constructed in 2002 and included the installation of approximately 350 prefabricated parking shade canopies, construction of a security substation (approximately 185 square feet), and installation of new lighting system and video surveillance systems. Achen-Gardner Construction (AGC) is a company with modest beginnings. In 1989, Achen-Gardner Engineering (which is now AGC) shared office space with Farmers Insurance in Chandler and also worked part time out of another office in the City of Casa Grande. Early employees, including AGC President Dennis Troggio, would take their computers home at the end of each day, not knowing where they would be going to work the next day. This continued for six months until full-time office space was acquired in Chandler. In 1995, AGC moved to a new office in Chandler, and in 2012 we established an office in Tucson.